Planning a family day at the beach? 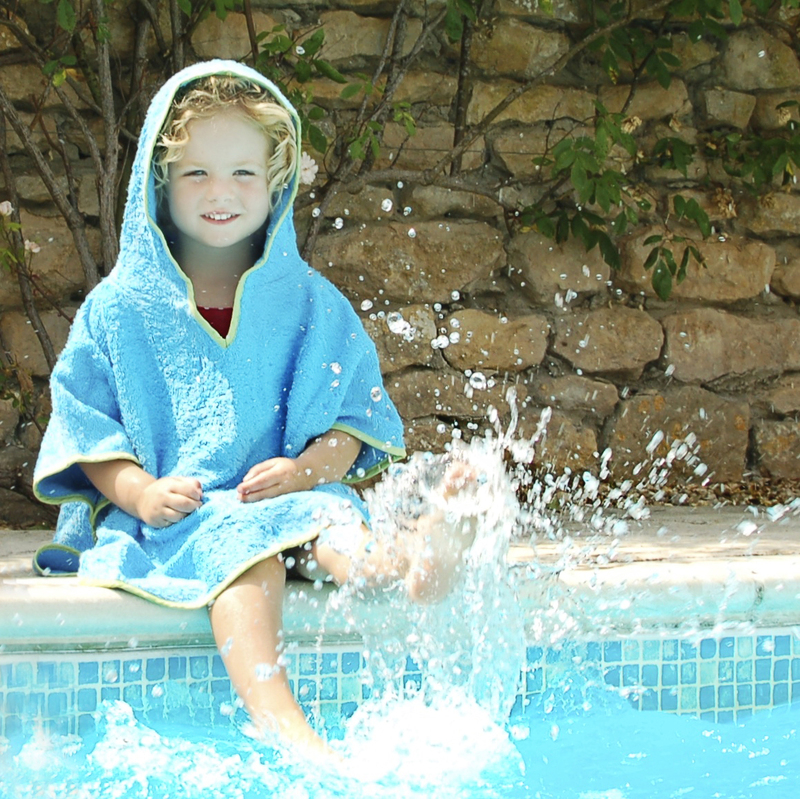 Cuddledry’s SPF50+ Poncho Towel in Aqua is designed to protect little ones from harmful UV rays. The first thing you notice about the protective poncho is the softness, made with Cuddledry’s signature blend of supersoft bamboo and cotton, it’s also light-weight, very fluffy and incredibly absorbent. After paddling in the sea or splashing in the pool, simply pop it on and secure with the clever underarm poppers. There’s also a fun and roomy hood to protect your toddlers’ head and neck. This lovely poncho is made with patented Rayosan technology which acts like a mirror to deflect harmful UV rays offering Sun Protection Factor 50+. It’s also perfect for use after bath time, trips to the swimming baths or for sunny days in the garden!